I thought this would be much bigger in person but big doesn’t always mean better! The size is good as it can get into the nooks and crannies of your face. I made the mistake of not dampening the sponge first before use and thought what was the hype about. Once dampened (not soaking wet – you need to squeeze out the excess water), I now understand. I generally use my Real Technique expert brush or my fingers to apply my base whereas this has become a replacement. It did take time for me to use and to get over the idea of using a sponge after so many years of brushes and fingers. With more use and practice, it’s a breeze and doesn’t take long to apply the base. The finish is flawless and you can achieve an airbrushed or natural finish! Who doesn’t like either of the looks? It doesn’t leave any streaks nor require as much buffing as you do with a brush, therefore it’s more gentler on the skin. A brush can emphasise dry patches more when buffed in too much whilst this doesn’t when a dabbing motion is used. It helps covers pores a lot better and can help you build up to your desired coverage without looking cakey. I apply the products onto my face first then used the dabbing motion to blend the foundation and concealer into the skin. The tip is very useful to blend the concealer under the eyes, around the nose and to spot conceal. I can imagine this to be an amazing tool when I get my hands on some liquid/cream contour products. It didn’t soak up a lot of product. I actually helped me use less product. I wouldn’t recommend applying liquid/cream products straight onto the sponge as it can absorb a lot of the product even when damp (noob mistake). I’ve never tried it with powder yet, but I will soon. I wash this after each use and let it air dry then it’s good to go the next day. Sounds high maintenance but it’s hygienic. People may worry about hygiene but if you take care of it, it’s alright but do replace it. I have read some reviews where there was pink dye coming off whilst washing and wet; that wasn’t the case for me. Never would I have thought of spending £16 on a sponge but am glad I did. I’d still consider it to be expensive but I would definitely repurchase this every 3-4 months. Am never going back to using brushes! 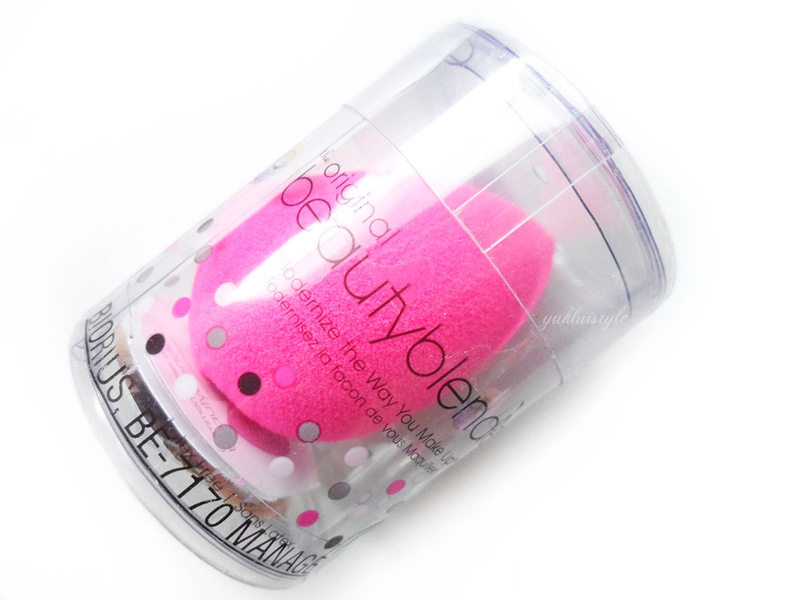 Have you tried the Original BeautyBlender before? Wow that really is a lot bigger than I would have thought, I really want to give a blender a try sometime. I really want to give this a try nowww! 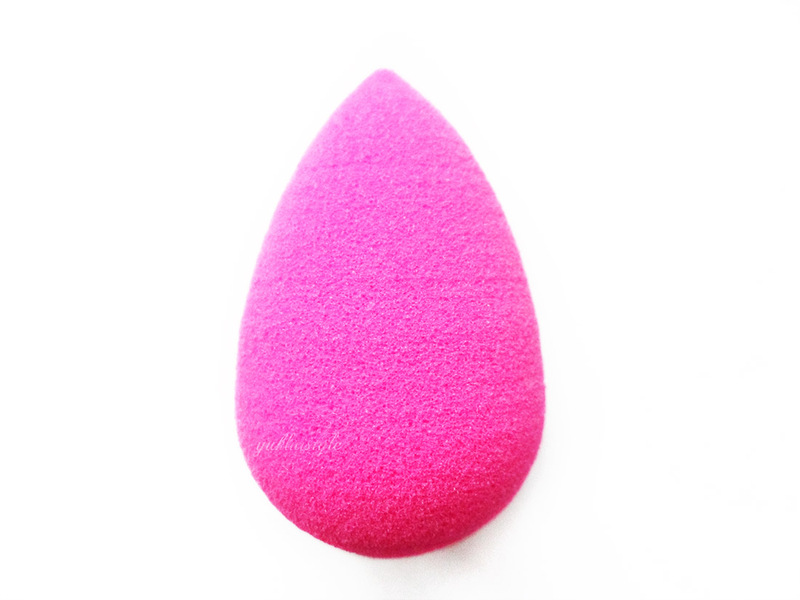 I have heard so many good things about this beauty blender. Would love to try this soon. Thanks for the detailed review. I've used a few of them and they're seriously the best! Why have I not purchased this yet?! I haven't used one of these nor have I used brushes. I am stuck in my old ways of using my fingers to apply foundation and concealer. I am tempted to give it a go though, it sounds great! I literally just purchased one of these (finally) and I am so excited to give it a try! I purchased the one that comes with a little bejewelled stand (probably not necessary) but it looks so darn cute haha! I was also quite shocked at the size – I hope it'll work it's magic once dampened and with foundation. 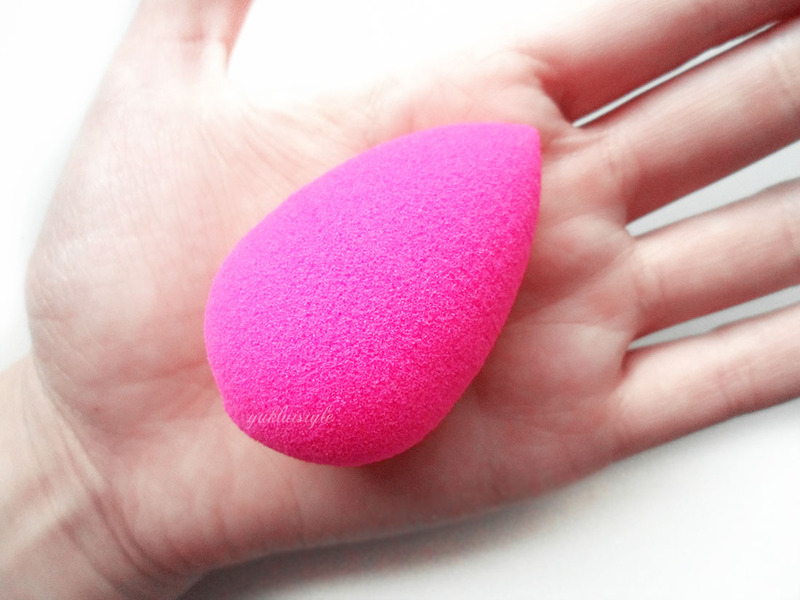 I tried one of these beauty blenders I do like them but think I prefer to use a brush. I finally bought one a few months ago! I bought black though, less chance of showing staining! I like mine but wouldn't call it a game changer for me. I love the idea of these, I always just worry about where I would store them!